Introduced in 1990, the Norton F1 (or P55 in factory parlance) was essentially a road-going version of the successful RCW 588 racer. 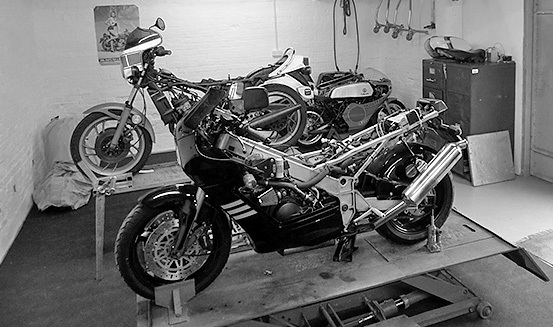 We offer sales, repair, and restoration of all models of classic road and race motorbikes including homologation specials. Our workshop is fully equipped and we are able to undertake servicing, repairs and complete restoration projects.